Amateur and starting graphic designers usually start out their creative flair in common design fields like designing a logo. Some of the common ways to practice logo design are doing some logos for small clients usually for free or by analyzing popular logos and redesign them. One aspiring designer caught our attention with his logo experiments. Meet Ben Gough, 22- year old creative, gamer and hockey enthusiast from Calgary, Canada. 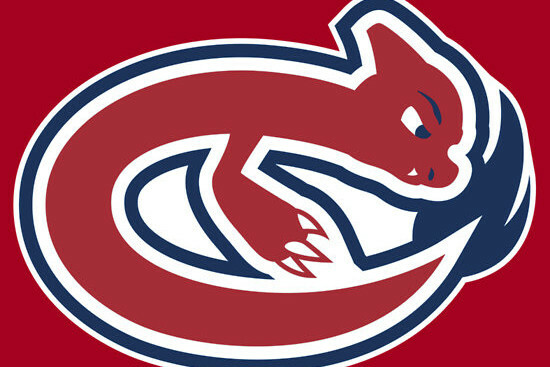 His logo experiment called “NHL Pokémon Logos” is an awesome series of reimagined logos of teams from The National Hockey League combined with Pokémon characters. The result is a cool collection of logos printed and sold as tees, hoodies and stickers. Ben also formulated a unique names for the teams with the reimagined logos. Some notable teams include Anaheim Mighty Psyducks, Los Angeles Slowking and Toronto Gyarados. Whether you are an avid hockey fan or just a Pokemon lover, you will surely enjoy this collection. Scroll down below and enjoy! Check out the entire collection of Pokémon Logos in Ben Gough’s Redbubble page. Which of the logos is your most favorite? Tell us your thoughts and suggestions by commenting below.